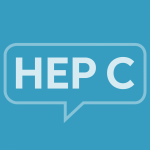 People with hep C can experience a variety of symptoms, including arthritis. To get a better understanding of these symptoms, we conducted our 2018 Hepatitis C In America survey. About 35% of survey participants said the experience arthritis, specifically osteoarthritis. Another 12% said they have rheumatoid arthritis. Why do people with hep C experience arthritis? What is Arthritis? Arthritis Foundation. https://www.arthritis.org/about-arthritis/understanding-arthritis/what-is-arthritis.php. Accessed November 7, 2018. Kemmer NM, Sherman KE. Hepatitis C-related arthropathy: Diagnostic and treatment considerations. J Musculoskelet Med. 27 May 2011; 27(9), 351-54. Available from: https://www.ncbi.nlm.nih.gov/pmc/articles/PMC3103264/. Accessed November 7, 2018. Satsangi S, Gupta N. Rheumatologic Manifestations of Viral Hepatitis B and C. Journal of Hepatitis. Available from: http://hepatitis.imedpub.com/rheumatologic-manifestations-of-viral-hepatitis-b-and-c.php?aid=7636. Accessed November 7, 2018. Rivera J, García-Montefort A, et al. Arthritis in patients with chronic hepatitis C virus infection. J Rheumatol. Feb 1999; 26(2), 420-4.